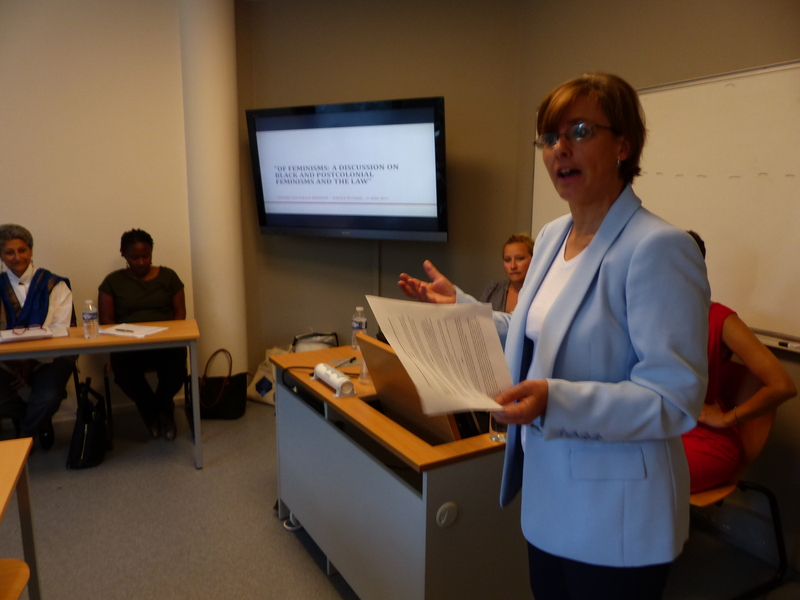 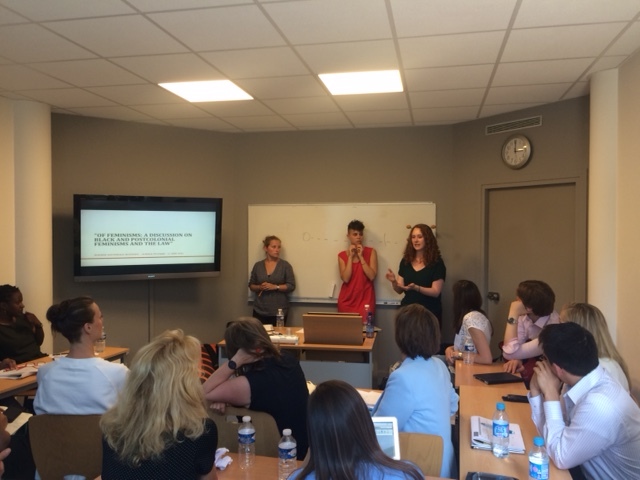 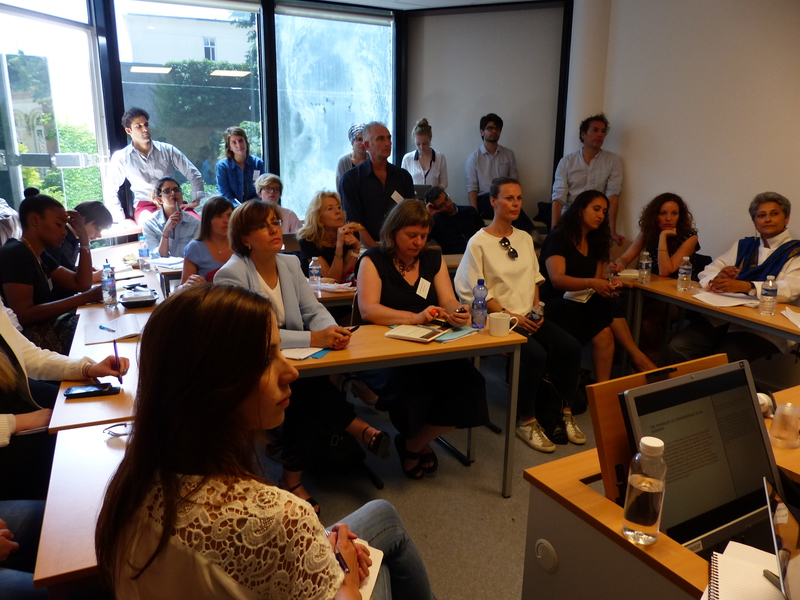 On 17 June 2015, as part of the Sciences Po Paris’ annual Semaine Doctorale Intensive, Emily Jones, Bérénice Schramm and Oriane-Jill Aoust organized under the supervision of Prof. Emmanuelle Tourme Jouannet a workshop aimed at discussing key elements of black/person of colour and postcolonial feminism and the impact this has had and should have on law. 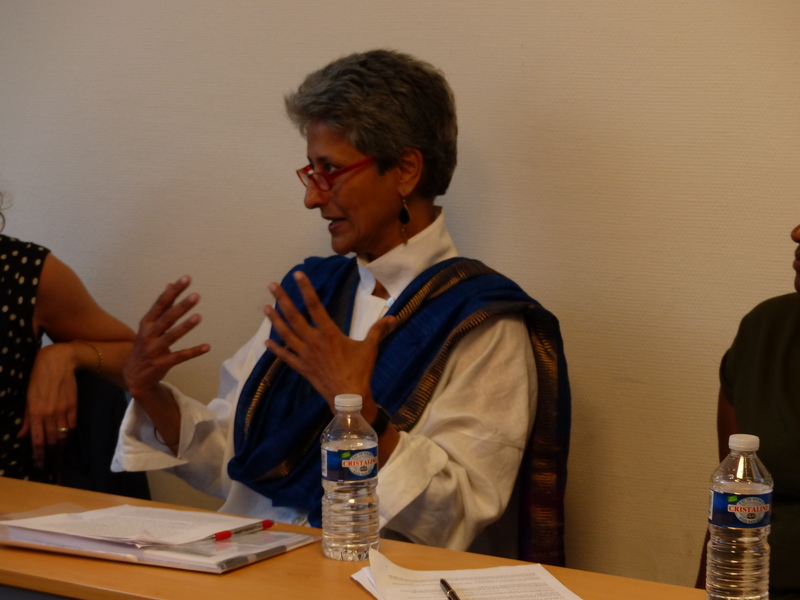 Prof. Ratna Kapur provided an enlightening account of postcolonial feminisms and (international) law. 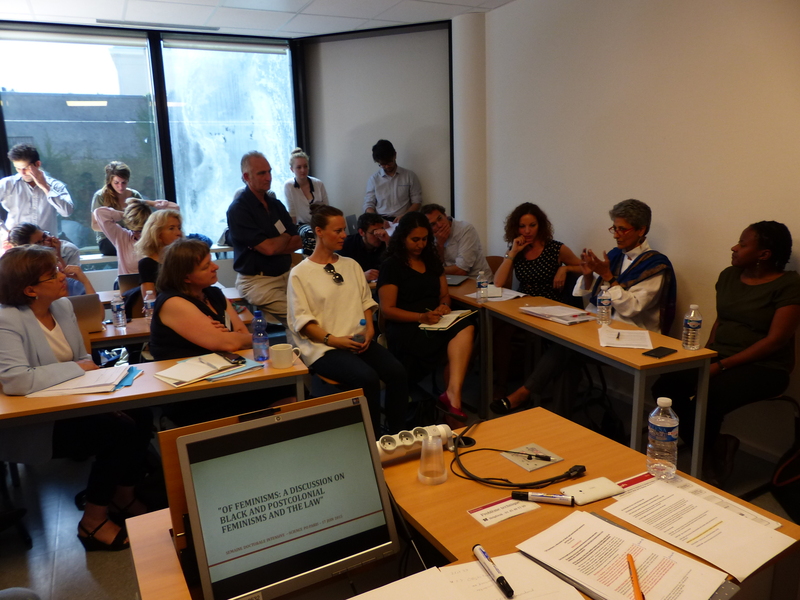 Key concepts such as intersectionality were presented and debated with the audience, in particular its importability in other contexts than the American one. 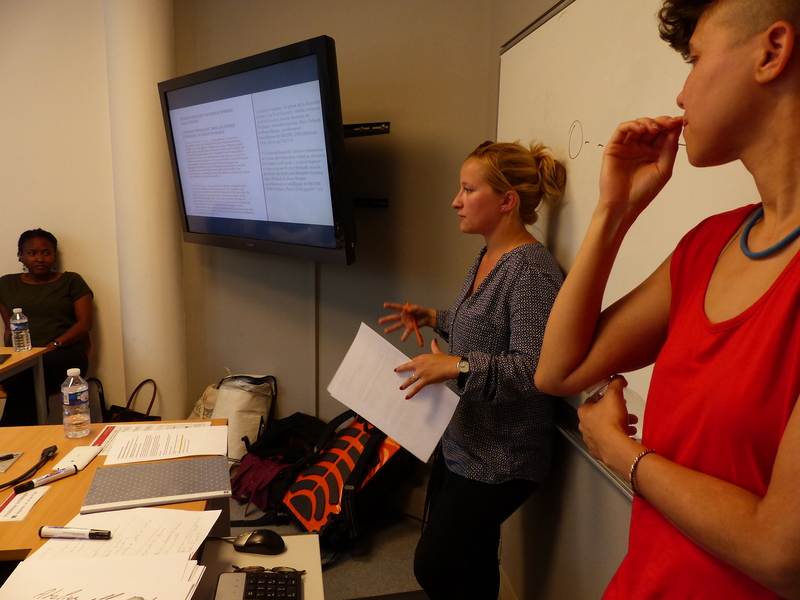 – Black Female Voices: Who is Listening – A public dialogue between bell hooks + Melissa Harris-Perry‬, The New School, NYC (8 November 2013): 7’50 – 9’40;, 1’22’35 – 1’23’15; 48’45 – 50’15.